Not worth it; has language, drinking, and an unoriginal plot. 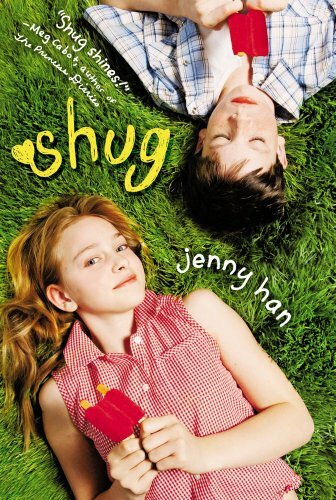 Twelve-year-old Annemarie "Shug" Wilcox learns about friendship, first love, and self-worth in her small southern town. Not good - multiple characters drink (including Shug and her very underage friends), yet no consequences befall them. The seventh grade girls and boys kiss multiple times, and swear. One girl, whose parents are very strict Southern Baptists, is made fun of. A boy's father threw him down the stairs a few years ago (this is a flashback moment). Boys fight over a girl at school and get suspended. Shug's mom drinks a lot throughout the entire book, to Shug and her father's anger. Kissing, and the girls talking about their growing breasts. Shug gets her first period while in French class. This book had too much drama while lacking a heartfelt plot. Characters get away with a ton of reckless behavior. Disappointing, not entertaining, and a bit long. There are better, deeper coming-of-age novels, like Bridge to Terabithia, more worth the time invested in them.